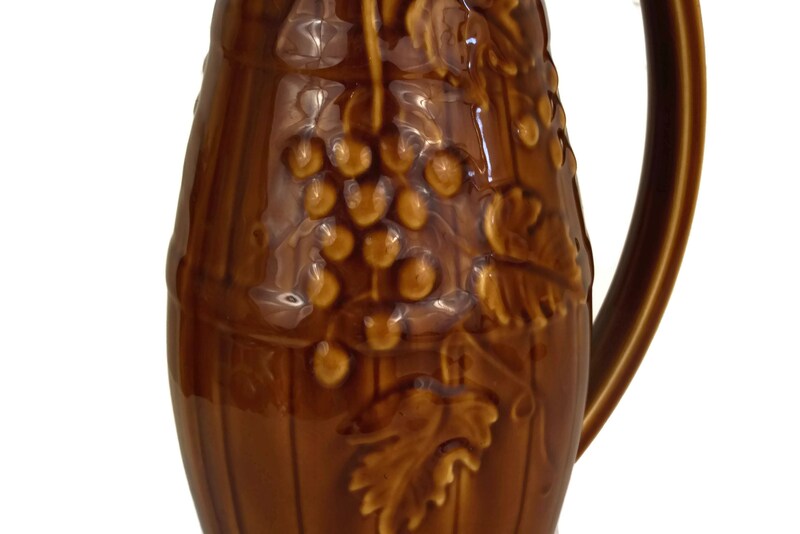 A stylish vintage French red wine jug dating from the mid century. 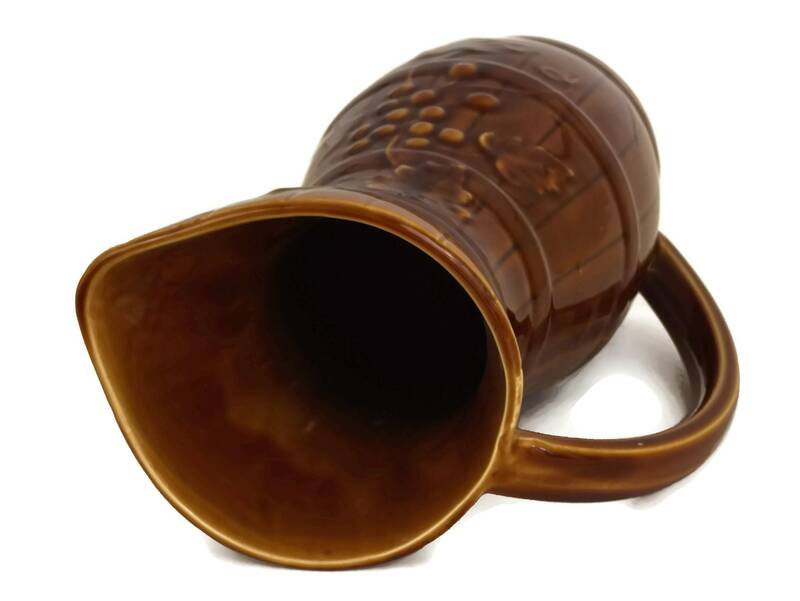 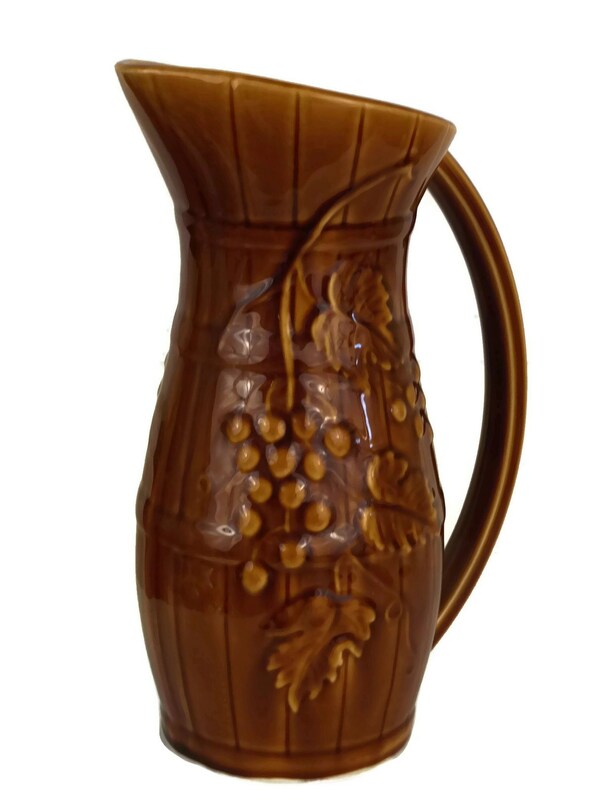 Created by the famous Sarreguemines pottery company, the glazed ceramic pitcher features a barrel design with grape vine patterns in a raised relief design. 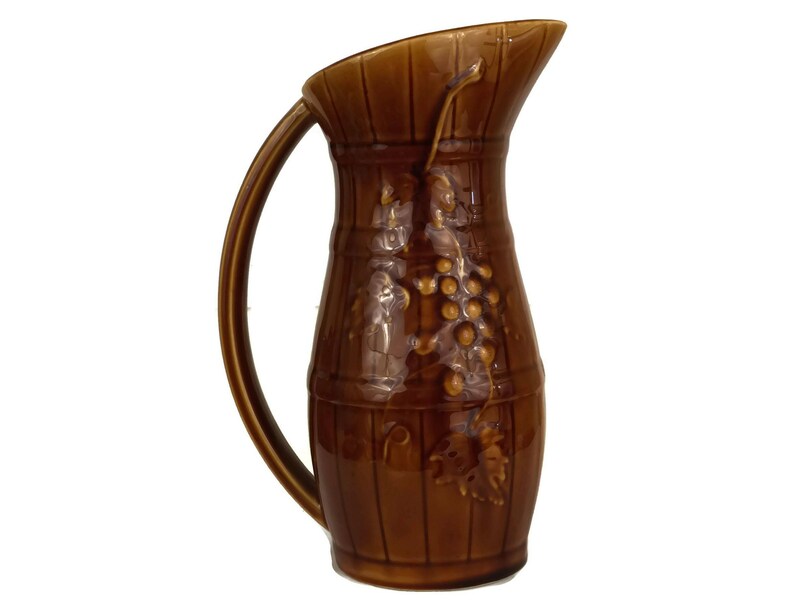 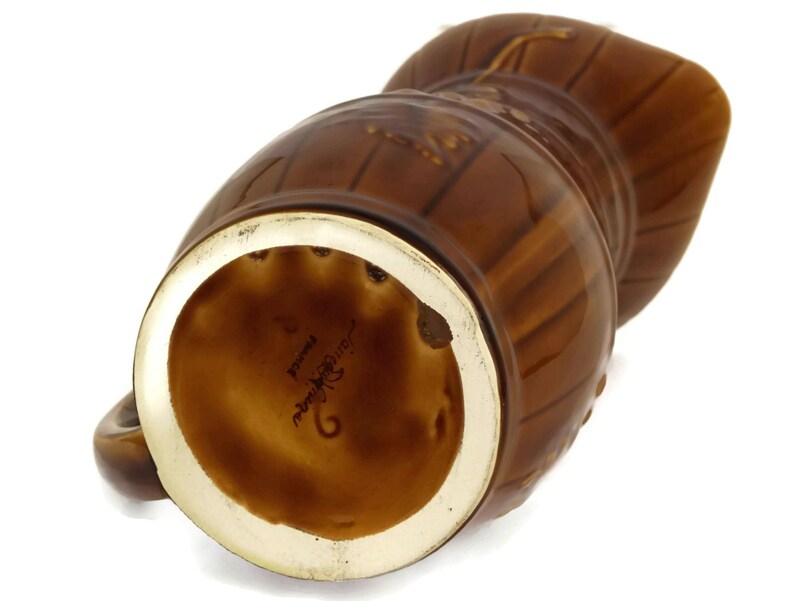 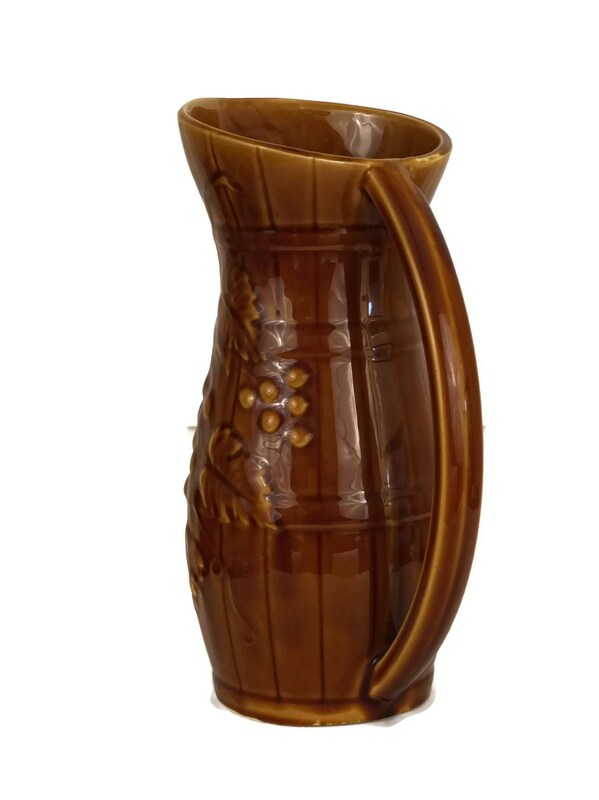 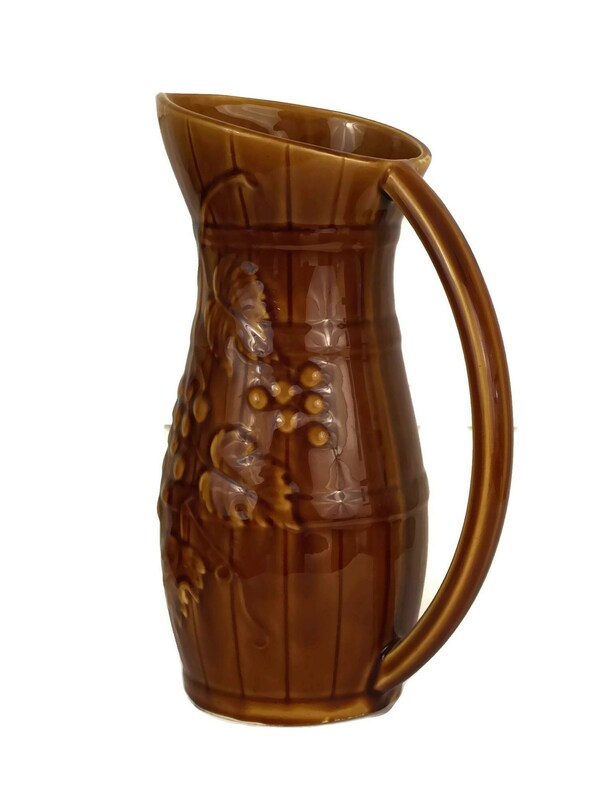 The brown pitcher has an elegant form with a large handle and gently tapering neck. 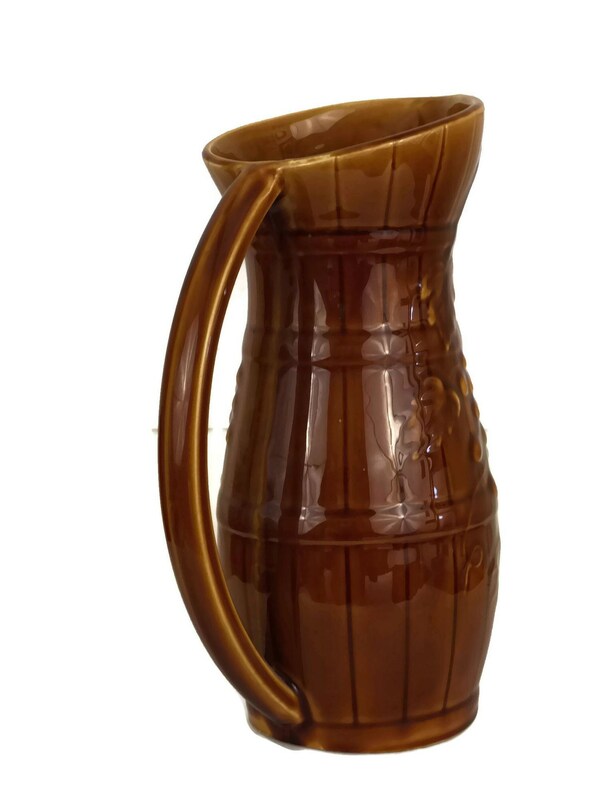 The base of the pitcher has been stamped with the manufacturer's marks. 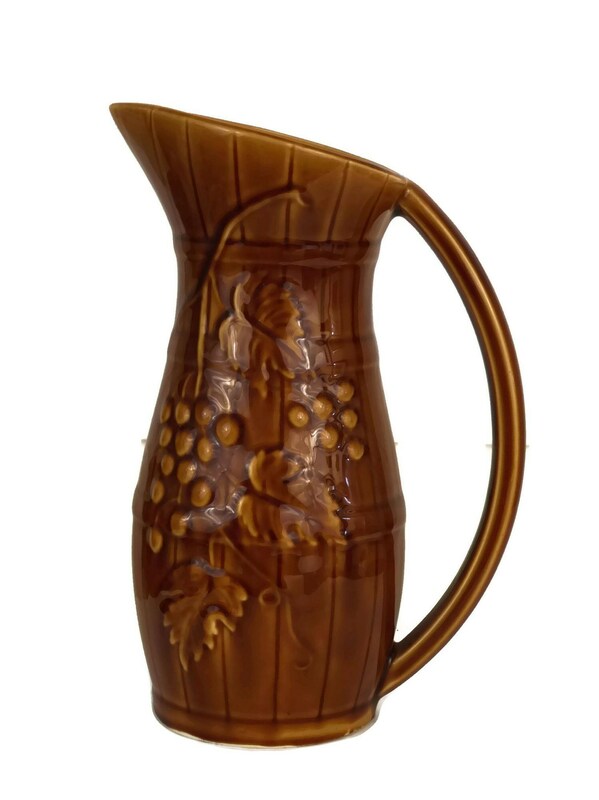 (23 cm x 10 cm). 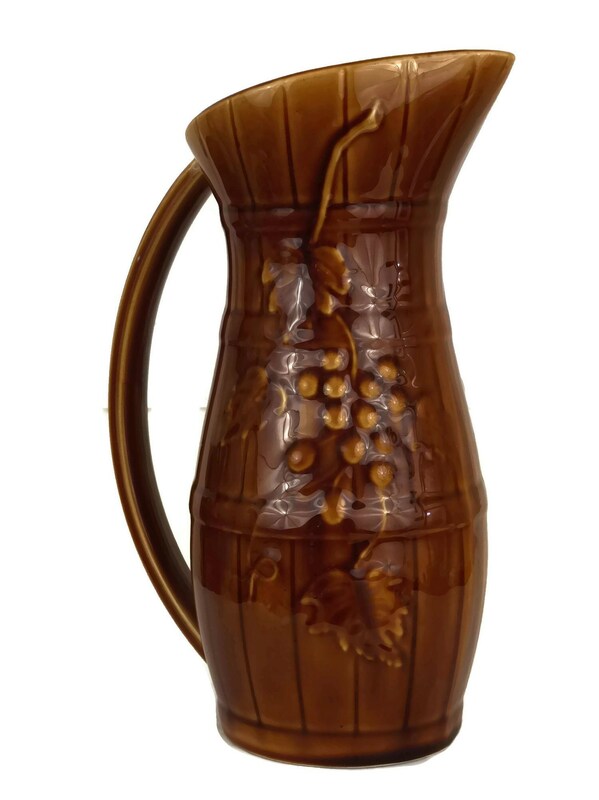 The red wine pitcher is in very good condition with light crazing to the glaze.